To the surprise of gamers everywhere, yesterday Bethesda Softworks announced a new entry to the Fallout series, titled Fallout 76. 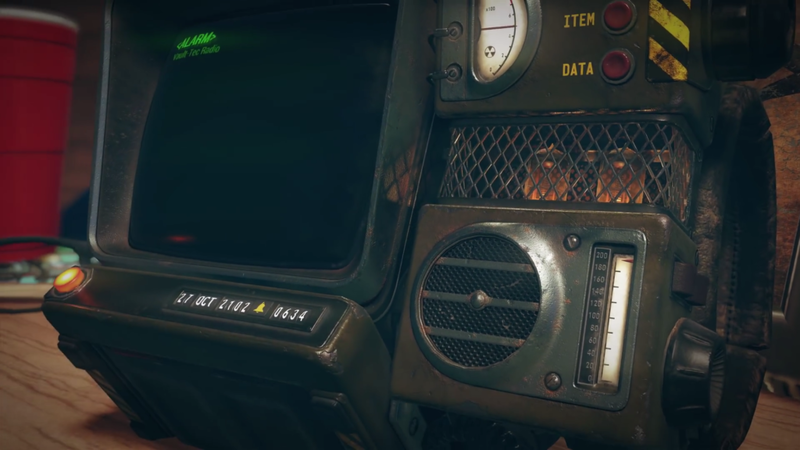 While we will undoubtedly learn more at Bethesda’s E3 Showcase on June 10th, the teaser trailer above gives us a lot of hints of what to expect from Fallout 76. Like the other games in the Fallout series, it all starts with a vault. Vault 76 has been mentioned in a couple terminals and quests throughout the Commonwealth and the Capital Wasteland. What makes Vault 76 unique compared to Vault 111 or Vault 101? 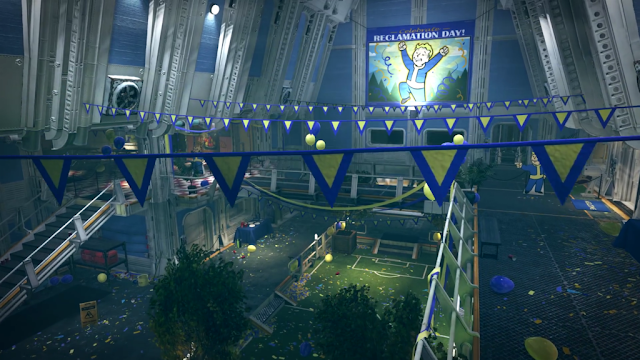 Instead of being programed to open 200 years after the bombs drop, Vault 76 was set up to open after only 20 years. 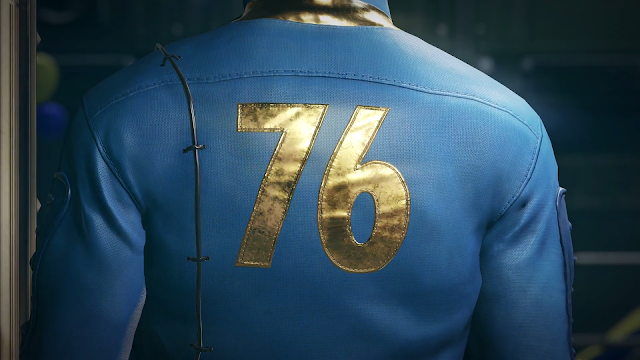 76 acted as a control for all the messed-up experiments Vault Tec performed on people. The first shot of the trailer shows the brand new, old school Pip-boy you will probably be using throughout the game, but it is important to note the date and time on the bottom. October 27th, 2102 places the game about sixty years before the first Fallout. So that means the Enclave and the Brotherhood of Steel are active, but Super Mutants are still being developed by The Master on the west coast. While the Super Mutants on the East Coast are a bit different from those experimented on and created by The Master, it seems highly unlikely that we will see them in our adventures throughout West Virginia. One thing Bethesda brought to the world of Fallout was a defined sense of character in the world. By relying on nuggets of warped American history, the Capital Wasteland flourished as a memorable open world loved by gamers. 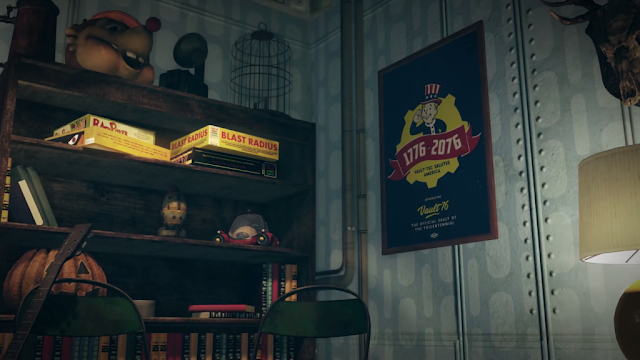 While Fallout 4 had their own slice of Americana in the Commonwealth, it looks like Fallout 76 will have themes of the American Revolution. While it is cool that players will get the opportunity to explore the world so soon after the bombs fell, if you look closely throughout Vault 76 you will notice it is incredibly well kept and incredibly empty. Is this going to be a home base point on the map that you get to customize and decorate to your fitting, or does it serve as a harrowing start to a long adventure of another vault dweller on the road by themselves? Of course, we won’t know much beyond this teaser trailer until Bethesda opens the doors to their special presentation at E3. Expect them to show off Rage 2, Fallout 76 and any number of out-of-the-box projects. The past couple years at their E3 Showcase, Bethesda announced and released Fallout Shelter, debuted both Fallout 4 VR and Skyrim VR, and announced titles coming to Nintendo Switch. When you consider their past presentations, maybe a multiplayer game set in the Fallout universe isn’t so far fetched. Bethesda’s E3 Showcase will be on Sunday June 10th at 6:30 PM PT. It will be streamed on Bethesda’s twitch channel and will be the third major press conference of E3 week.